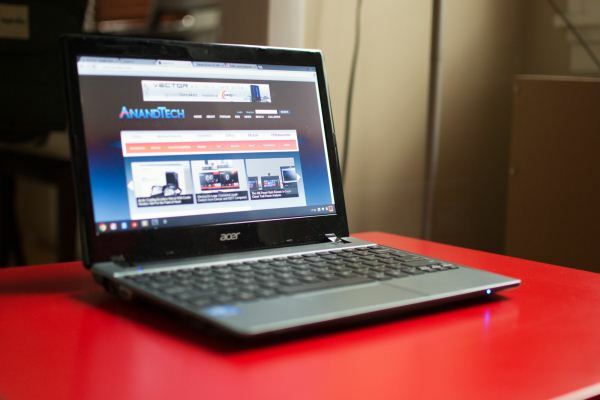 If today we were reviewing the Acer Aspire One A0756-2641 notebook, from which the Acer C7 Chromebook is derived, then it would be really brief. Compromised, and too expensive. Priced at around $ 329, the spec sheet is spared utter embarrassment by having a low-end Sandy Bridge processor, rather than something from the Atom line. Aside from that, it’s hard to argue in favor of this notebook when a little more cash can net you a small caching SSD, more RAM, a better processor and a goodly performance boost. But this isn’t the Acer Aspire One. 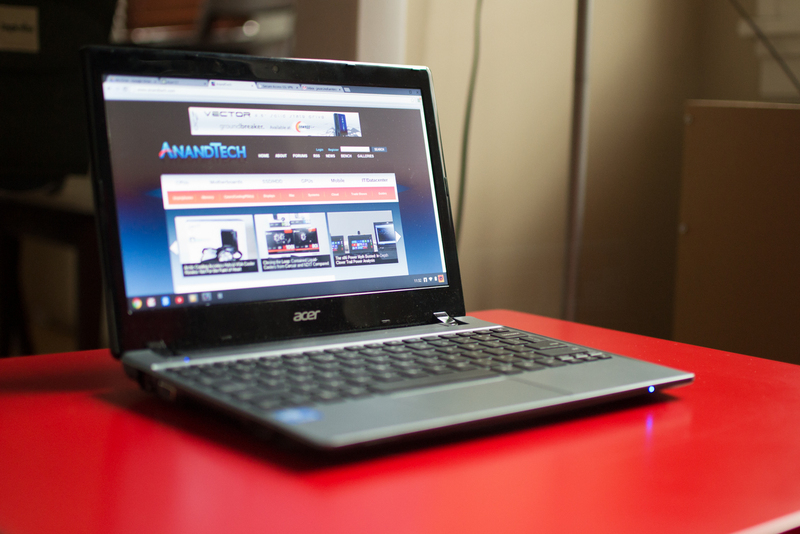 This is the Acer C7 Chromebook, and it only costs $ 199. Does that make all the difference? Let’s take a look. In consumer electronics, every market segment goes through this moment when the technology becomes affordable enough that it becomes a race to the bottom. The netbook movement pulled the floor out from under notebook prices, and the results were, at first, severely compromised and almost unbearable. The long term result of the ensuing price pressure means a fantastic Windows laptop can be had for well under $ 1000. Much of this is owed Intel’s fabs (and marketing) and we are in an era of high IPC, power efficient and cheap x86 processors powering notebooks of all shapes and sizes. The full promise of the netbook was never truly acheived, though. There are no “good enough” Windows notebooks available for under that magic $ 200 barrier. Today’s Atom lacks the oomph to make the user experience one we’d recommend. Move up to a more modern Intel CPU, though, and you get a better experience, but a higher price. So what happens if you take the aforementioned Acer Aspire One A0756-2641 (a Windows 8 notebook with an 11.6” screen and a Sandy Bridge-based Celeron processor with Intel HD Graphics and a 320GB HDD and 2GB of RAM) but stripped out that Windows license and charged $ 199 for it? Let’s talk turkey. Thin, flexible plastic does not inspire confidence, nor does it feel good against your finger tips. That’s something we’ve known for a while, long before the materials experienced a resurgence as the netbook movement really grew its wings and become the benchmark for cheap notebooks. You can make the millimeter thin composites look good, and you can even give it an internal structure that is rigid, but it will always feel cheap. The Acer C7’s design isn’t terrible. As a color-blind person, I really am much more comfortable around grey-tone products, I never have to worry that I’m secretly wearing purple pants. What kills me is a poor tactile experience. So I was surprised to discover that the cheap plastic forms a pretty solid feeling device. When you hold the chassis in one hand, opened, you can feel the plastic body flexing in your hand, but there’s still enough rigidity that you might be convinced it could survive a short fall. The display’s hinges are solid with no jiggle or dead space, and can be laid nearly flat. The keyboard is narrower than the best of them, but isn’t so cramped that typing becomes a chore. Proper QWERTY alpha/numeric key placement is a must for me, and here the C7 acquits itself well. The keys themselves are well sprung, if a little shallow, and provide good feedback that they’ve been sufficiently depressed. 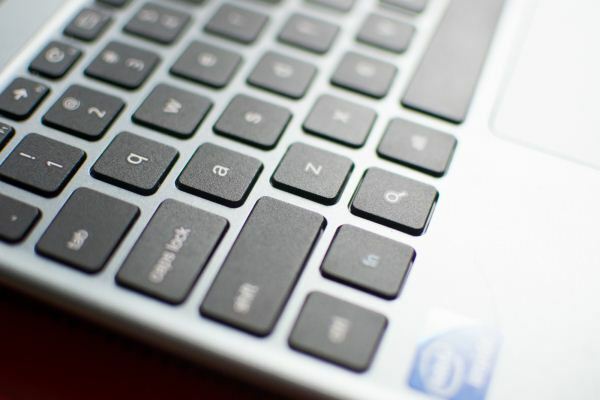 The directional keys are a bit minuscule, and that can be frustrating, particularly given that you may use them more than the trackpad for making selections. The touchpad is wider than I expected, and fills nearly the full distance from the keyboard to the edge of the device, but is sadly made of the same cheap plastic as the rest of the body. The result is that, though the body feels solid and the mechanical components are sufficient, there’s just nothing particularly pleasing to touch. The touchpad’s performance is also a bit lacking. Two finger scrolling works well enough, but pinch to zoom was hit or miss and not supporting additional gestures makes it almost impossible to accurately select text or drag a file. For accuracy’s sake I prefer the directional keys, their size not withstanding. While the base of the C7 tapers down towards the user, the display body is a uniform depth and a bit thicker than I might have hoped. Despite its thickness, with just a mild bit of force you can flex the display pretty radically; not a confidence inspiring trait. Bezels aren’t too radical, and the camera is centered within the top bezels, with the Acer logo below the display. 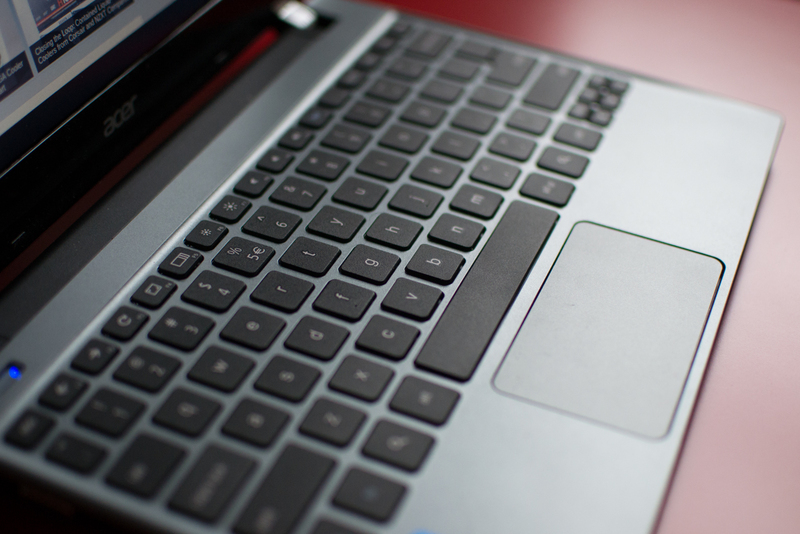 With the base tapering to a slim edge, the bulk of the laptops weight is in the battery towards the back of the device. Along the bottom of the C7 are myriad vents and labels, and a pair of speaker grills. A single screw beneath a warranty sticker restricts the removal of the bottom panel; and our review sample just happened to be missing that screw entirely. With no screw in the way it’s quite easy to slide the panel off and have access to the hard drive, RAM and wireless module, along with a close look at the cooling mechanism. The left side houses the ethernet and VGA ports on one side of a rather large vent, and HDMI and USB 2.0 on the other. The right side sports the Kensington lock port, power, 2xUSB 2.0 and headset port. Along the front edge are power and charging indicator LEDs, and a sprung SD slot with a molded blank to fill it when the slot isn’t being used. The C7’s two speakers sit on the beveled edge of the C7, below the wrist rest. Their output won’t rattle your windows, and might not be enough to hear clearly from across the room, but they’ll do from arm’s length. Devo formattare il mio acer aspire one che non ha il lettore cd! Come dovrei fare? Dovrei installarci Windows 7! Qualcuno mi può aiutare? Dove lo trovo Windows 7? Salve ho un notebook di 17” acer aspire 7520 dove è partita la scheda madre e quindi vorrei usare un po di pezzi…Ad esempio ho un netbook da 10.1” sempre acer aspire one d150-1bw molto buono solo che essendo piccolo ha poca ram solo 1gb a differenza del notebook che ne ha 4gb. portatile acer aspire 6530g comprato 1 anno e mezzo penso fa… continua a spegnersi (BLUE SCREEN) e non e colpa di windows. salve a tutti, io ho un netbook acer aspire one 751h-52bb, lo vinto ad un concorso circa 2 mesi fa, e cercando in internet ho scoperto che si può potenziare la scheda video facendo un”overclock”,vorrei sapere come fare a fare un overclock, ci sono altri modi per potenziare la scheda video??? ?